The weird thing: I actually liked non-stop blogging. If I had an Iphone or some kind of phone that would let me fully blog and take/post photos, it would have been a lot easier. There was a lot of pulling over in the car and then downloading pics from my camera to the laptop and then uploading to the blog. That was pretty annoying. What was interesting was how much of my life is spent not on the Internets. Before blog-o-rama, I was beginning to feel like I spent too much time online. But that’s actually not true. I spend far more time writing, cooking, cleaning, eating, listening to music–just living. Granted, I sometimes do all of the above while holding my Blackberry in my hand. But in general, I’m not nearly as consumed with cyberspace as I thought i was. Now, it’s back to normal. Back to writing about writing. Timothy needs to know how to track down an editor. Just got an email from a freelancer who needs advice on taxes. I’ve got Pitch Me entries waiting to be ripped to shreds gently critiqued. And I have to go ahead and write that RIP post for a magazine whose death completely shocked me. Dear readers, did you read all the posts? Did it drive you crazy? What stuck out to you? Do you think you could ever do a full day of nonstop blogging? This entry was posted on April 3, 2009 at 8:24 am and is filed under Uncategorized. You can follow any responses to this entry through the RSS 2.0 feed. You can leave a response, or trackback from your own site. 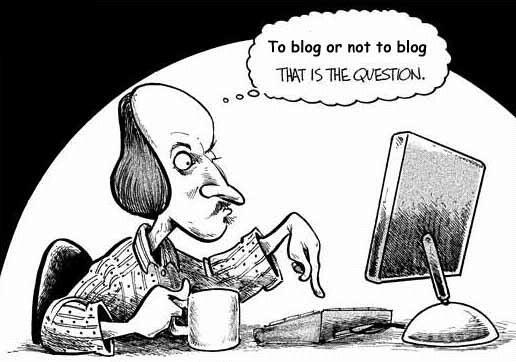 To me, great writing is what makes non-stop blogging interesting. You’re a great writer, so I read. Sometimes people do have breaking news to post, really funny anecdotes, etc. But generally, I think that most people’s lives are pretty regular. It’s like Seinfeld–lots of talk about nothing, but you still stay tuned. I liked the non-stop blogging, but I couldn’t keep up. I could not blog non stop, unless I was getting paid. I agree with Katura, you are a great writer can’t wait to read your book. i thought it was fun and funny. I enjoyed it and read every post. I wondered how the project rated on the annoyance scale, but I imagined it wouldn’t be easy. Good writing makes good reading. it was an interesting day. I rea them all at night once I got home because I had a busy day at work. Then thinking back to your comment about twitter i wondered how people update all day long. My fav was definitely the video with Tog, but I enjoyed everything. Hopefully you’ll save it so that when she gets older she can see how crotchety she could be as an (almost?) two-year-old. :-p The best thing was getting a glimpse into your non-writing life, though I don’t blame you one bit for putting blog-o-rama on “limited time only” status. It was fun spending the day with you. I couldn’t keep up, but I enjoyed sitting down at the end and reading all of them in one sitting. A day in the life…You should at least do another one about TOG, a trip to mall or something, she’s a yound diva already. The highlight was definitely you the TOG going back and forth in the car. Did she just let herself out? And, of course, you ceding to your mickey d’s weakness. Priceless. i kept up with the posts all day. my schedule kind of allows for that, sometimes (sad. wonderful!). i agree with everyone: very fun reads. i’m looking forward to all the posts you’ve teased in this entry, too. Like Clove, I read them all at once, too and enjoyed very much. Great blog. I enjoyed it but it was very time consuming and tiring. I tried to keep up but I just couldn’t. Like all have said before, you are a great writer and I look forward to reading more about the blog-o-rama posts.